Even though it’s cold outside (22°F where I live), I’m daydreaming about Alaska. Glaciers calving, fjords choked with ice, whales breaching, and bears ambling along the shorelines. Alaska is The Great Land indeed. During my more than two decades of writing about cruising, I’ve cruised Alaska at least a dozen times. I’ve sailed on small ships, mid-sized ships, large ships and even ships that no longer operate, the fleet of Cruise West, for example, which went belly up in 2010. I’ve spent time on the ground in Alaska, not only on shore excursions but also on assignment to film 60 short videos to capture the Alaska experience. One highlight of that assignment: a “fly by” of Denali. I still have the video, and it continues to inspire me. Comparisons come to mind when thinking about Alaska. Norway is about as close for those who live on the eastern side of the United States. And some have argued that Alaska pales in comparison to the Norwegian coast. I am not so sure, even though I once suggested it myself. The rugged Norwegian coast certainly is beautiful, but Alaska is beautiful – and wild. For starters, there are not many people in Alaska. Whereas Norway has more than 30 people per square mile, Alaska has fewer than a single soul per square mile. Nor are there fearsome bears in Norway, with the exception of polar bears in Svalbard, way north of the mainland. Alaska, on the other hand, has the grizzly, Kodiak, black bear, and polar bear, not to mention wolves, moose, and the killer whale, Orca. You’re not likely to encounter these animals in confrontation, but my point is that Alaska is a place that has not yet been tamed – and perhaps never will be. I would gladly cruise Alaska again, and just writing about it whets my appetite. If I were cruising Alaska in 2019, there are six cruises that would make my list – and one that would not. Ready? Let’s get started. The first Alaska cruise that would make my list is Azamara’s 8- to 10-night Rocky Mountaineer Land & Sea Packages. The draw for me isn’t necessarily Azamara. The small-ship operator serves up a tremendous cruise experience, and Azamara Quest is an enviable and intimate ship, but the Rocky Mountaineer is why this Alaska cruise makes my list. As the only passenger rail service to travel between Vancouver and Banff, the Rocky Mountaineer offers a luxury rail experience, with comfortable seating, plentiful scenery, and dining menus that include morning scones, hot breakfast, and lunch, as well as afternoon wine and cheese. 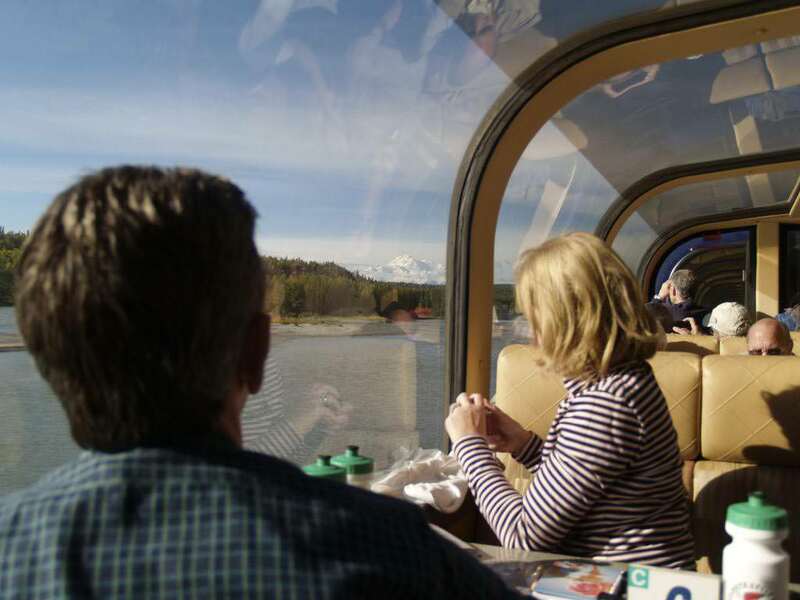 And like an OmniMax theater on steroids, the Rocky Mountaineer’s domed coaches showcase the spectacular scenery of Western Canada. Operating from Seward or Vancouver, Azamara offers Alaska voyages with gratuities and standard spirits, international beers, and wines included. Among the cruise highlights: Hubbard Glacier; Icy Strait Point; Haines; Skagway, with its White Pass narrow-gauge railway; Sitka; Alaska’s Inside Passage; Mendenhall Glacier; Ketchikan; Victoria, British Columbia; and Vancouver – and, of course, the Rocky Mountaineer. You missed the news? Cunard returns to the Great Land this year. In fact, 2019 marks 20 years since Cunard has visited Alaska. Why would I choose Cunard? Because its Alaska cruises appeal to the Anglophile in me. Yes, I want to cruise Alaska while enjoying traditional afternoon tea served by white-gloved waiters, or while pulling a pint to my lips in a traditional British pub. The on-board planetarium is pretty cool too, and while I am ambling around, I want to enjoy the ship’s Art Deco elegance, evoking the grand days of ocean cruising. Another reason: I have a connection to Cunard’s Queen Elizabeth that goes back to ship’s naming ceremony in 2010. Along with virtually every other journalist who covers cruising, I was invited to Southampton to witness her Majesty the Queen christen her namesake ship. Minutes before the ceremony, however, I wound up in the wrong place at the right time for a chance encounter with her Majesty the Queen. I doubt I would see her Majesty on an Alaska cruise, but I would be delighted to cruise on her ship. 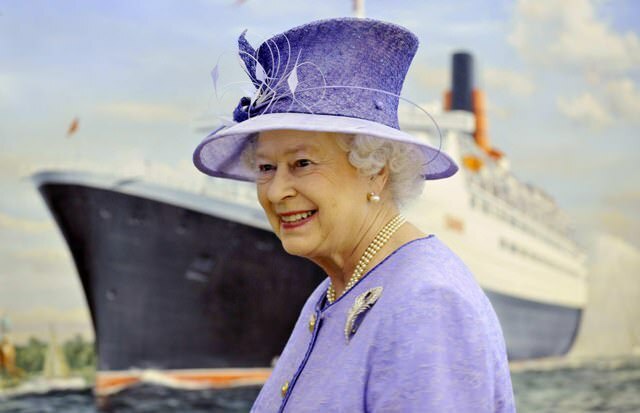 Queen Elizabeth will offer four 10-night roundtrip Vancouver sailings, departing May 21, 31, June 10, and 20, 2019. Itineraries feature cruising through the waterways of the Inside Passage as well as full days in several of the region’s highlight ports, including Skagway; Juneau; Ketchikan; and Sitka. The itinerary also includes Tracy Arm Fjord or Endicott Arm, Icy Strait Point, Hubbard Glacier, and Victoria. Definitely a cruise fit for a queen. Her Majesty the Queen named Cunard’s Queen Elizabeth, and I nearly bumped into her. Seabourn makes my list for its complimentary jacket. Okay, it’s not just the jacket, but what the jacket symbolizes. 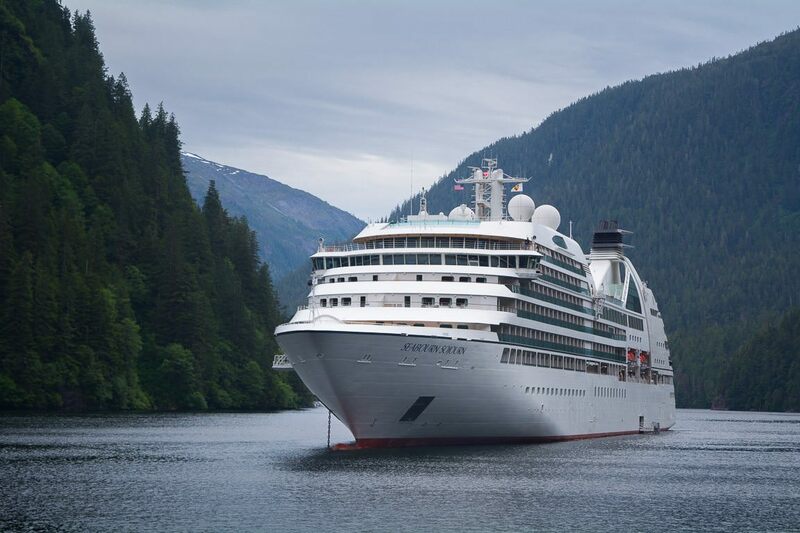 Seabourn strives to make its Alaska cruises as much of an expedition as possible – with a healthy smattering of luxury. For starters, on board Seabourn’s Sojourn, you’ll meet a knowledgeable expedition team. They add immensely to any expedition cruise. You’ll also have access to Ventures by Seabourn, with optional zodiac and kayaking adventures right from the ship. Imagine Misty Fjords’ glittering waterfalls from the perspective of a Zodiac or spotting a wildlife while kayaking in breathtaking Tracy Arm. For those activities, you’ll want – and need – the complimentary all-weather jacket that you’ll find in your stateroom upon check-in. 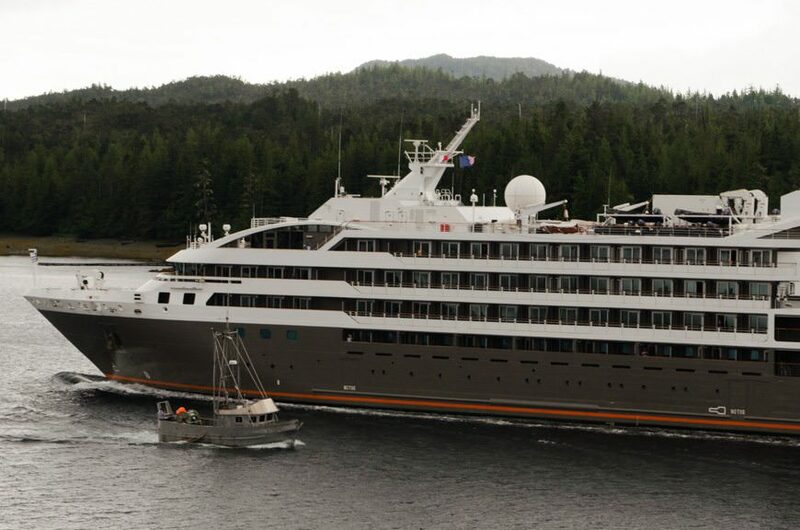 Seabourn’s 11- to 23-day Alaska cruises appeal to the explorer in me, and I don’t mind Seabourn’s luxury trappings, including its plush staterooms, award-winning service, and multiple dining venues. 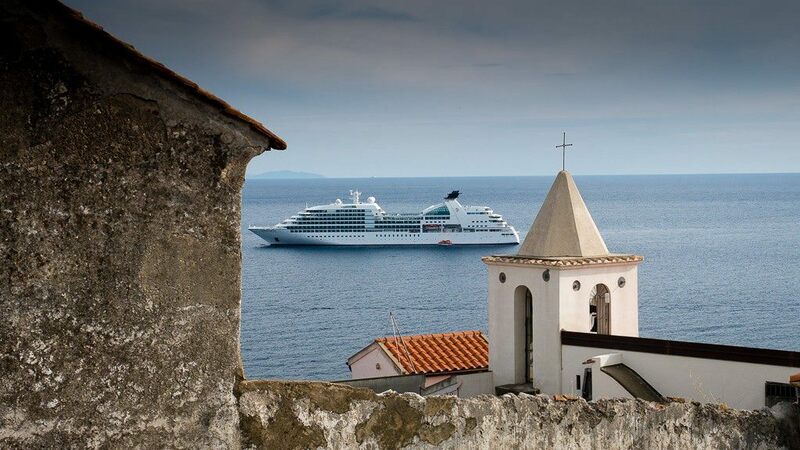 I’ve spent a fair amount of time on Seabourn Sojourn, and my last trip was in the Mediterranean, when I snapped the photo of the ship anchored off the Amalfi coast. I wouldn’t mind snapping a few photos of Sojourn in Alaska. I’ve never been on a Lindblad ship, but to put another notch in my cruise belt is not the reason I want to explore Alaska with Lindblad. It’s because of the company’s partnership with National Geographic. As with Seabourn, Lindblad focuses on the expedition component, but Lindblad takes the expedition component up a notch. For starters, kayaking, Zodiac explorations, and snorkeling (yes, in the cold Alaskan waters) are all included, as are many shore excursions. You’ll feel like you’re rubbing elbows with the talented staff of National Geographic while you’re photographing with and learning from Lindblad-National Geographic certified photo instructors. This is the time to polish up on your photographic skills. Also on board are undersea specialists who film and present life beneath the Alaskan sea. On some of Lindblad’s voyages, you cross the Bering Sea to visit Katmai National Park, one of the premier brown bear viewing areas. Lindblad Expeditions will operate four ships in Alaska this year. Sign me up to be on one of them. I had such a great experience on Silver Cloud in Antarctica this past November that I know I would enjoy cruising Alaska with Silversea. With its Italian heritage, Silversea brings a bit of the dolce vita to Alaska on both Silver Muse and Silver Explorer this season. I like this combination because it allows you to choose between two ships that are markedly different. The larger of the two ships, Silver Muse boasts multiple dining venues, plenty of nightlife and an Alaska experience with quite a bit of elegance. Silver Explorer, by contrast, will appeal to the explorer in you. On this ship, it’s all about the expedition, with Zodiacs, and knowledgable expedition team members. 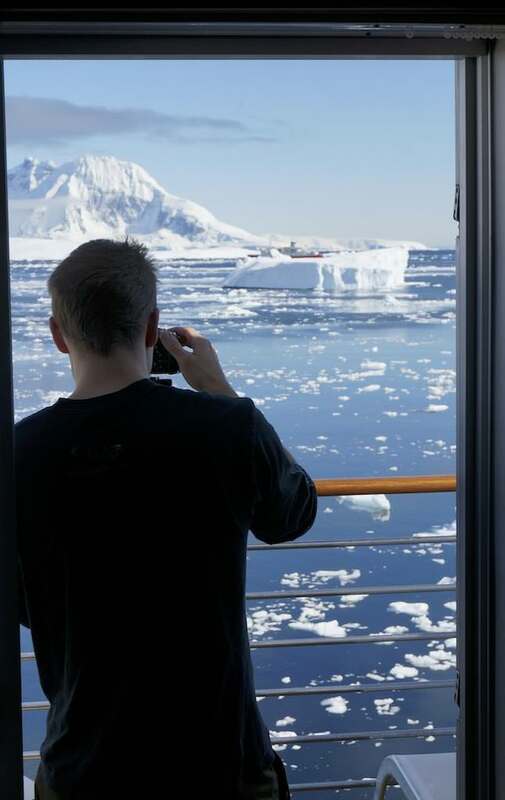 Some of my best experiences on Silver Explorer have been cruising Antarctica and Greenland. You can get a feel for the experience by reading those stories and watching the videos. Operating between Seward and Vancouver, Silversea’s Alaska cruises range from seven days to 13 days. Just at the Anglophile attracts me to Cunard, the Francophile in me attracts me to Ponant. I figure if I can bring a little of England (Cunard), Italy (Silversea) and Scandinavia (Seabourn) to Alaska, why not bring a little of France? I know embarrassingly little about Ponant or the ship it will deploy in Alaska, Le Soleal, but I’m impressed by the fact that the focus is on expedition, and again, with a touch of elegance. As on Seabourn, you’ll get a complimentary polar parka, as well as complimentary boot rental. And as on both Seabourn and Silversea, you’ll enjoy a mostly all-inclusive cruise. If I were fortunate enough to choose on Ponant Alaska cruise, it would be the June 24, 2019 sailing. The Polar explorer Jean-Louis Étienne is scheduled to be on board. Who is this mystery man? A true explorer. After reaching the North Pole in 1986, Étienne traveled south in 1989 for a seven-month expedition to cross the Antarctic continent. He’s done much more, and surely, he’ll have some fascinating stories to share. I would not cruise Viking Orion to Alaska. Why not? Because I want it all. I would board in Auckland and cruise all the way to Vancouver, for a total of 93 days on board Orion. I’d still get an Alaska experience on Viking Orion’s Grand Pacific Explorer, as the ship spends nine days in Alaska. I guess that makes the title of this post clickbait. Sorry. The fact is that I like Viking, and in fact, back when sister ship Viking Sea was launched I suggested seven reasons why it may just be the best ship sailing – and one reason why it was not. There are several other cruise companies that I would consider for Alaska, Holland America Line, Un-Cruise, Windstar, and more, but they will have to wait until 2020. What is your opinion of the Princess Line Grand Princess 10 day sailing round trip from San Francisco? This is an Inside Passage trip I am considering the August 24, 2019 sailing. I think that would be a great trip. Particularly sailing out of San Francisco. One concern would be choppy seas along the coast until you get to the Inside Passage, but it’s a big ship and can ride the waves well. I live in interior Alaska and I would not consider a cruise that did not include Glacier Bay. It’s just so unique, something I don’t believe you can see anywhere else as the glaciers have retreated only in the last 200 years. Hope you can get there. Thank you Pamela. I’ve been to Glacier Bay once and loved it – and would love to return. My wife and I would like to do an Inside passage cruise, but only 3 or 4 days, and then do a 6 or 7 land tour. Is there any program out there that you could recommend for a couple celebrating 40 years of marriage? I originally wanted to just fly into Anchorage rent a motor home take off but that would be more fun with friends of ours who just can’t get away this year so maybe the next time. This time around we only have about 10 ys so whatr you can suggest would be helpful.